With the victory the red, white, and blue tied their season-high mark of 20 games over .500 and also clinched their 21st set win of the 2014 journey. A scoreless stalemate led up to a one hour and 44 minute rain delay that begin in the top of the 4th inning as the result of a pop-up thunderstorm. Keys LHP Steven Brault tossed 3.1 scoreless innings and allowed just one base hit without walking a batter while fanning two. Nationals LHP Matthew Spann, like Brault, was very effective dealing 3.0 no-run stanzas. Spann faced the minimum without allowing a hit and side-stepped a walk issued to Frederick RF Chih-Hsien Chiang by inducing an inning-ending double play off the bat of 2B Tucker Nathans to wrap the 2nd inning. Neither starting pitcher received a decision and both were lost due to the length of the stoppage in play following the storm. After play resumed at 4:17pm, the eventual losing pitcher, Keys RHP Jimmy Yacabonis (0-4) stranded the single of RF Randolph Oduber in the resumption of the 4th but allowed a two-run home run socked off the second tier of signage in left field off the lumber of Nationals C Pedro Severino in the 5th inning. The four-bagger was Severino’s ninth of the 2014 season. An inning later, Potomac plated one run on an RBI sacrifice fly lifted to left field by LF Mike McQuillan that scored Oduber, who got on board with another one-base knock. Yacabonis surrendered three earned runs on six hits in 2.2 relief innings while walking a pair of striking out a quartet. The Nationals brought home three more runs in the 7th against Keys LHP Lex Rutledge via a wild pitch, an RBI 5-3 groundout from Oduber, and a run-scoring single lashed through the legs of Rutledge by 2B Khayyan Norfork into center field. P-Nats RHP Travis Henke (5-2), who earned his fifth win, piggybacked Spann’s appearance following the rain delay and was excellent. Henke went 4.0 innings and allowed just one earned run on five hits. The big-bodied righty walked one, fanned one, and let go of one wild pitch. The Keys scored their lone run after the 7th inning stretch against Henke on the wild pitch after Keys 3B Jason Esposito sprayed a double into left-center field. Potomac RHP Cody Davis finished the game with 2.0 scoreless innings. Davis allowed two hits and one walk. Davis left an Esposito single in the 9th by getting one out on a Nathans fielder’s choice groundball, C Austin Wynns on a popout to 1B Estarlin Martinez, and LF Lucas Herbst on a pop to SS Cody Dent to seal the regular season finale as a win for the Potomac Nationals. Nationals IF Tony Renda, who did not play in the season finale, was crowned the 2014 Carolina League Batting Champion after submitting a .307 batting average (127-for-414) in 107 games beating out Salem Red Sox IF Reed Gragnani’s .300 clip (108-for-360). 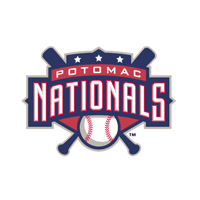 The P-Nats will host the Lynchburg Hillcats (Atlanta Braves) in Game One of the 2014 Northern Division Championship Series on Wednesday, September 3rd to ignite the Nationals’ chase for their fifth Mills Cup Championship. First pitch of the NDCS will be unleashed at 7:05pm with gates to Pfitzner Stadium opening at 6:00pm. Probable pitchers for the first playoff confrontation are yet to be announced.